Ancient Egypt, Rome and Greece: Ancient Fun Fact: A Real Egyptian Love Spell! Ancient Fun Fact: A Real Egyptian Love Spell! The ancient Egyptians weren't afraid to be, uhm, long-winded when it came to casting spells. Check this out--a real love spell found on a papyrus, from a man wanting a woman to fall in love with him. 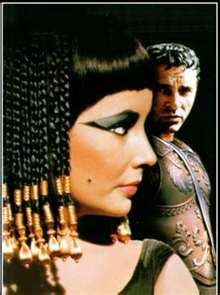 It's a spell from the Greek period, around or before the time my novel's main character, Cleopatra Selene, lived in Egypt. Anubis, god of the earth, underworld and heavens, dog dog dog, use all your strength and all your power on Tier (the woman in question), who was born by Sophia. Strip from her her pride, prudence and modesty, and bring her to me here, at my feet, languid with passion, at every hour of the day or night, dreaming of me ceaselessly, when she eats and when she drinks, when she works and even when she makes love, when she rests, when she dreams and when she is dreaming; when, tormented by you, she hastens, languisihing for me, wholeheartedly, her soul filled generosity, offering herself to me, and fulfills the duty of women towards men, serving to satisfy my lust and her own, never bored, without shame, rubbing her thigh against mine, her black down against my black down in the sweetest way! Yes, my master, bring me Tier, to whom Sophia gave birth. "Languid with passion!" "At every hour of the day or night..." "...languishing for me." He's got it bad. But at least he thinks about her when he points out that it's her duty to satisfy her own lusts as well as his. Nevertheless, reciting the spell wasn't enough. Mr. Lovelorn also had to, at sunrise, drown a scarab beetle in the milk of a black cow, then cover it with sand and cloth and burn incense in front of it. When it dried, he had to divide the bug in half with a bronze knife, cook it and then mash it with apple pips with either the magician's urine or sweat. Then he had to roll this fragrant mixture into a ball and plop it into wine. Oh, and one last thing--he had to make sure the woman he loved drank that wine. Yeah. And we think match.com is weird. Clearly Anubis was not a god to be trifled with, in matters of Love or Death. Thanks for this tidbit of history -- despite the March of Time, there is more that bids us to the Ancients than separates us from them. Holy Scary Stalker Spell, Batman! Dear Tier, born by Sophia, watch your wine glass at the next party. Sincerely, A Concerned Friend. That's GREAT! i love it! I love the dog, dog, dog and the specificity of the spell and what he had to do after. Where did they find this? @David, we haven't changed much at base! @Gilly: that's the funniest comment evah! I gotta repost it in FB! I wonder how he talked her into drinking that wine. That would make a heck of a story.